Welcome, I’m so glad you’re here! My name is Inka Aniol. I am founder and owner of INKA ANIOL – Wohnpsychologie. After many years of professional experience in the marketing industry, I now combine my joint passions of interior design and psychology through environmental psychology consulting. Through my studies in Business Psychology and my education as a Systemic Coach and Process Consultant, I am aware of how important it is to recognise one’s basic emotional and physical needs and to give them “space”. I would like to invite you to increase your personal living satisfaction and quality of life. Private Individuals: During an at-home session, together we will take a look at your living space. In a detailed consultation we analyse current and past living situations, living ideals and living needs. From this we derive possible changes, which you can then implement independently or together with me. Offices: We visit your offices and talk about your company, your corporate culture and your workspace needs. On this basis, we plan a reorganisation that optimally promotes job satisfaction and performance of you and your employees. Medical Practices: We look at your practice and talk about your specialty and your patient target group. On this basis, we create an environment from which patients undertake treatment in a relaxed and confident manner and your employees can work with motivation. Take part in a journey of discovery into the world of Environmental Psychology and be surprised with the great effect that even small changes can have! I look forward to seeing you! P.S. 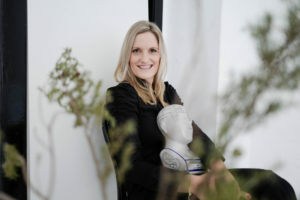 I am also founder and owner of INKA ANIOL – Home Staging & Interior Design. If you would like to learn more about these topics, have a look at my website.